Learn how to make one of the best summertime desserts—the Chipwich. This chocolate chip cookie ice cream sandwich is simply delicious and easy to make. Take a nice long look at that photo. 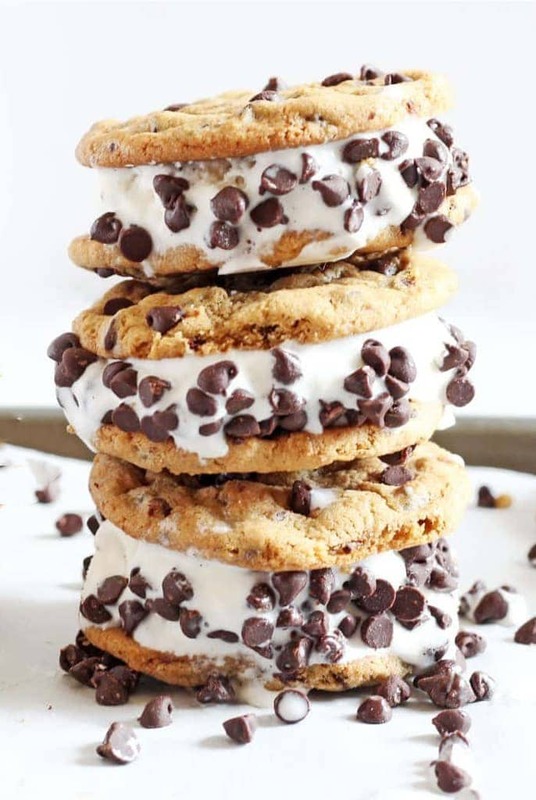 How good does that chocolate chip cookie ice cream sandwich look? Best of all, it is so easy to make. The homemade Chipwich is creamy vanilla ice cream sandwiched between two chocolate chip cookies and loaded with mini chocolate chips. I loved Chipwiches when I was a kid. With two desserts in one, the Good Humor ice cream sandwich was unquestionably one of my favorites. Now as an adult I realize how easy it is to make your own cookie ice cream sandwich and it’s ten times better. I’ll tell you why. The secret to a delicious homemade cookie ice cream sandwich? Using the best chocolate chip cookie recipe, of course. Nothing beats a good chocolate chip cookie. So when you sandwich two together with ice cream, you are most certainly in for a treat. Freezing the cookies makes them sturdier and hardens the melted chocolate chips. You need stiff cookies in order to sandwich the ice cream in between otherwise you’ll have a crumbly cookie mess. Don’t worry though, the chilled cookies will maintain their deliciousness! One more secret to a perfect cookie ice cream sandwich: Good quality vanilla ice cream. I’m talking slow-churned vanilla from your local ice cream shop. After all, if you’re going to make a homemade Chipwich, you might as well hit it out of the ball park, right? I suggest wrapping them individually so they are easy to grab on a hot summer’s night. Enjoy! Scoop about 2 tablespoons of cookie dough, shape into a ball, and place onto the prepared baking sheet. Repeat placing each ball of cookie dough about 1- to 2-inches apart. Bake for about 12 minutes or until the edges start to turn brown. Cool on the pan for 5 minutes and then transfer to a wire rack to cool completely. Transfer to the freezer for 20-30 minutes. Take one cookie and place a scoop of ice cream (about 1/4 cup) on the flat side of the cookie. Top with flat side of second cookie to make a sandwich. Place mini chocolate chips in a bowl or on plate. Roll sides of the sandwich in the chips. Serve immediately or wrap tightly in plastic wrap and freeze. *Transferring the chocolate chip cookies to the freezer is essential. If you try to make the sandwiches with warm or room temperature cookies, the cookies will break when you press the ice cream between them. You will also get chocolate chips all over your hands! Oh my! These look incredible! We’d be honored to have you share this at our weekly link party. 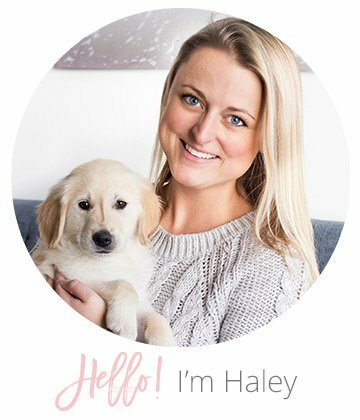 http://www.thelifeofjenniferdawn.com/2016/07/diy-painted-projects-for-home-and.html Hope to see you there! Does this recipe also call for extra Egg yolk ? Your choc chip cookie link adds that ingredient , so I was not sure if it left out of chipwich for a reason. Thanks !! Hi Christa! Good question. I cut my chocolate chip cookie recipe video in half, which explains why this recipe only calls for one egg. This turned out great. Followed the recipe as is. Couldn’t get video, but not hard to put together. I just used 1/2 cup measuring cup to mold ice cream, worked really well. Used for my kids bday and she was very happy with the final product. Thanks Haley. Can I make the cookies the day before assembling the sandwiches? If so, should I just leave the cookies in the freezer overnight? Or could I assemble the whole sandwich and leave them in the freezer overnight? Thanks!